When it comes to choosing construction tools and material we often overlook certain safety requirements that were put in place as a standard. It can be anything from the composition of the drywall that’s being placed, to the individual parts of the components we use. These need to be considered in terms of safety and reliability for the structure and the work involved. These are the kinds of security considerations for products from Karp. 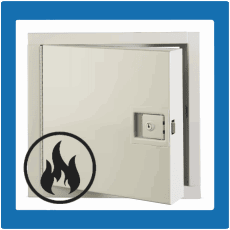 Their lineup of fire rated access panels and doors, available in a variety of sizes and designs to fit specific requirements or surfaces, are built according to the latest safety standards. 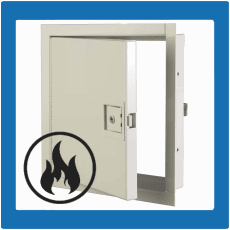 Using cold rolled steel and a prime coat of rust inhibitive electrostatic powder ensures an access door or panel that is built to last and endure any stresses thrown at it.